New research by specialist mortgage lender, Kent Reliance, finds that rising running costs and higher taxes are pushing around 36% of UK landlords into cutting their expenditure. According to the data, the average landlord now spends £3,571 per property in annual running costs, before tax or mortgage interest – equivalent to 32.9% of rental income. These costs have risen by 5.6% in the last two years without factoring in increasing taxes. Since the start of 2009, costs have jumped by 28%, a rise of £771. Cumulatively across the PRS, landlords contribute a total of £16.1bn to the British economy through their spending, supporting thousands of jobs from builders and tradesmen through to accountants and letting agents. This figure has nearly doubled from £8.5bn a decade ago, following the long-term expansion of the rented sector and rising costs per property. Property upkeep, maintenance and servicing spend represents landlords’ largest running cost across the PRS, totalling £5.8bn. Those that use a letting or management agent spend a collective £5bn, the next largest outlay. Investors spend a total of £567m on accountancy and legal fees, £341m on administration and registration costs, creating an additional £908m of spending solely dependent on the PRS’ existence. £2.3bn is spent on service charges and ground rents, £848m on utilities, £791m on insurance, and £618m on other associated costs of running a property. Faced by rising costs, and higher tax bills following the recent changes to mortgage interest tax relief, landlords are set to reduce their spending or increase rents. 36% of landlords, surveyed by BVA BDRC on behalf of Kent Reliance, are already reducing or planning to reduce their spending. Overall, a typical landlord reviewing their outlay would cut spending per property by around 6%. If replicated across the PRS, this would reduce their total spending by nearly £1bn each year, reducing the revenues of the industries that depend on the PRS. Property upkeep and maintenance (46%), and property improvement (38%) were the two most popular areas identified by landlords for potential cost cutting. 29% hope to cut their outlay on mortgage interest payments. Letting agent fees were in the sights of a quarter of landlords (24%). Those that targeted spending here expect to trim their expenditure on agents’ fees by 30%. 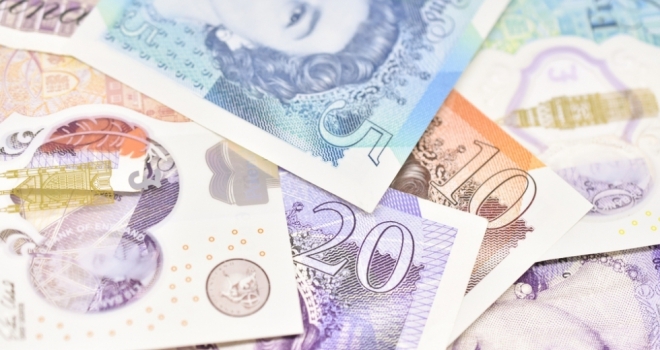 If landlords’ fees climb once the Tenant Fees Bill is introduced on 1 June 2019, we may see a greater number shop around, or consider self-managing their portfolio. Meanwhile, one in five landlords plan to increase rents to cover the higher costs they face. Adrian Moloney, Sales Director of OneSavings Bank, comments: “The political discourse around the private rented sector has been one-sided to say the least. Overlooked is the significant economic contribution landlords make, supporting thousands of jobs through their spending and housing a large portion of the country’s workforce. Instead, landlords have faced punitive tax and regulatory changes, at a time when running costs are climbing.